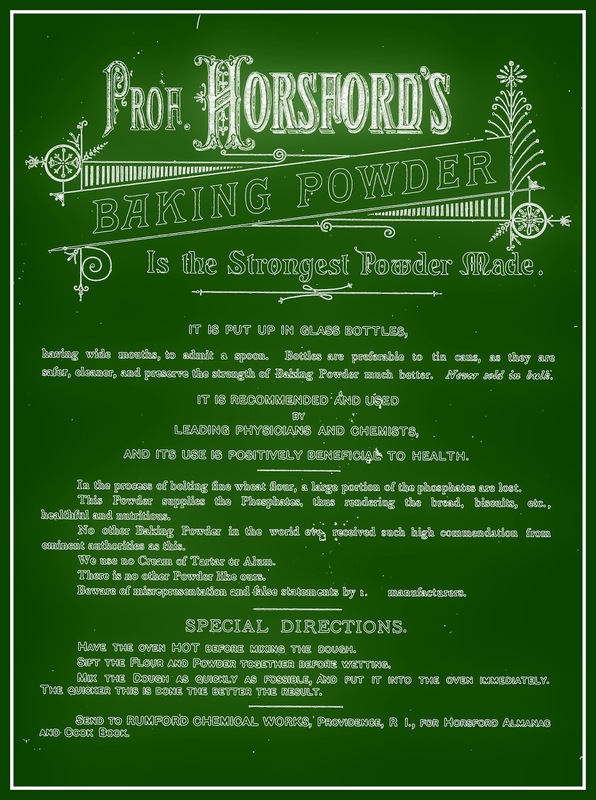 page 171 -- Edwin C. Burt & Co.,Horsford's Baking Powder, Rumford Chemical Co., Major & Knapp Lith. 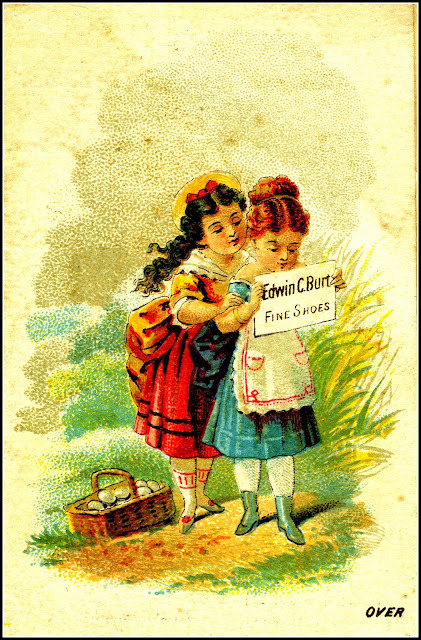 Edwin C. Burt shoes started out in Hartford, CT in 1838. 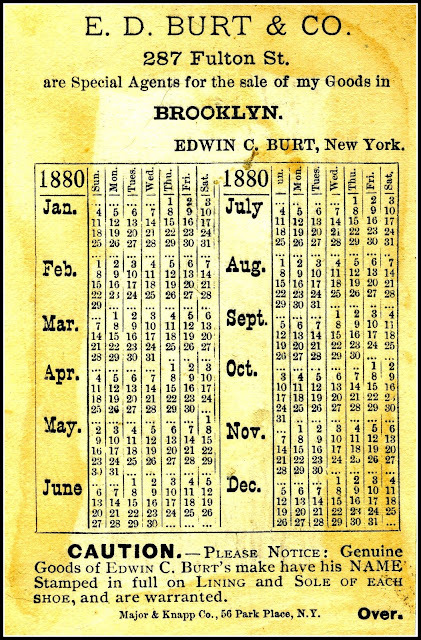 The firm moved to New York City ten years later in search of a larger market. Portion of the versa of an advertising card similar to the card in the Earl J. Arnold Advertising Card Collection. According to Wikipedia, "In 1874, Burt patented an improvement he made to shoes. The patent described a new method of producing shoes that provides increased durability. 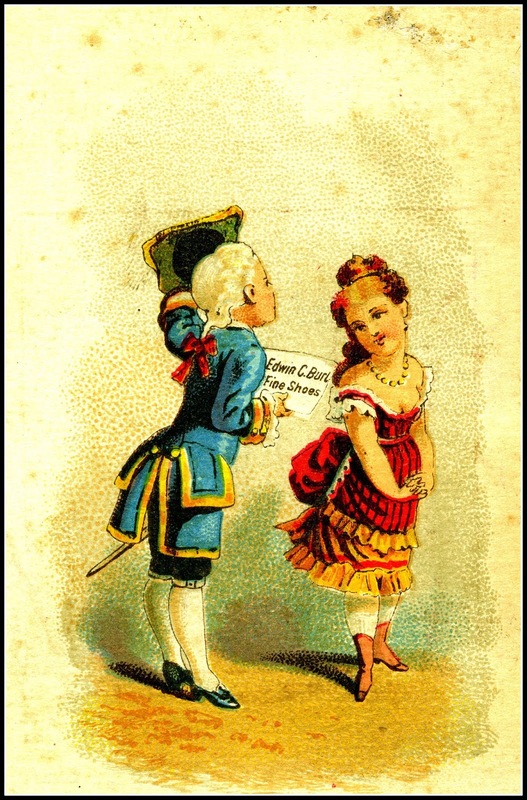 The patent number was 146801 and was filed November 24, 1873. 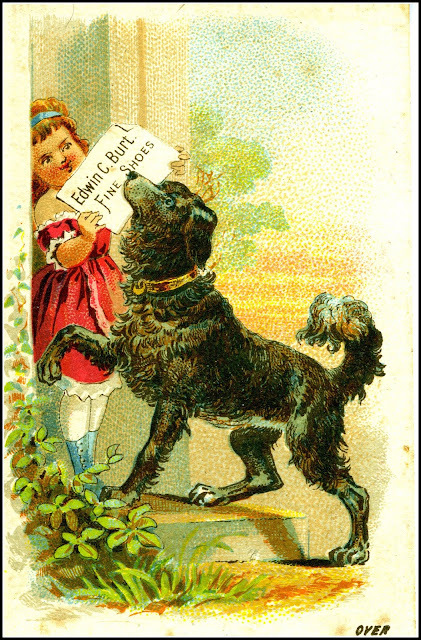 Burt's shoe company was especially known for its advertisements." 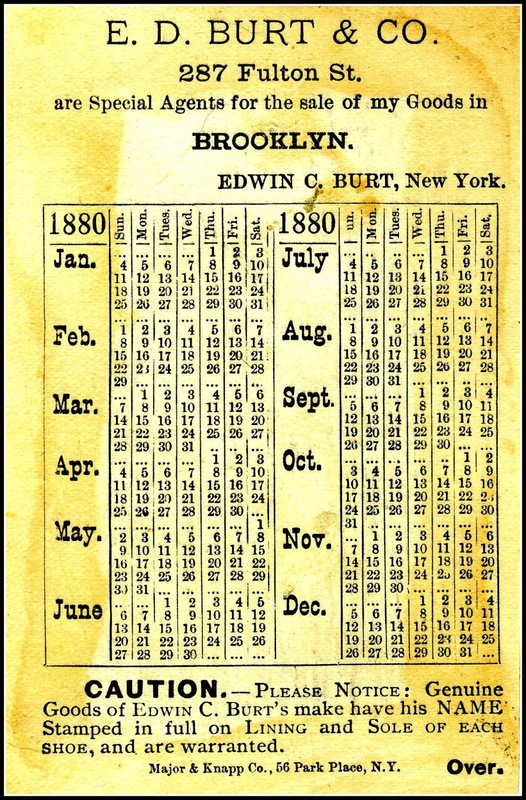 The 1880 calendar was printed on the reverse of the 3 cards above. 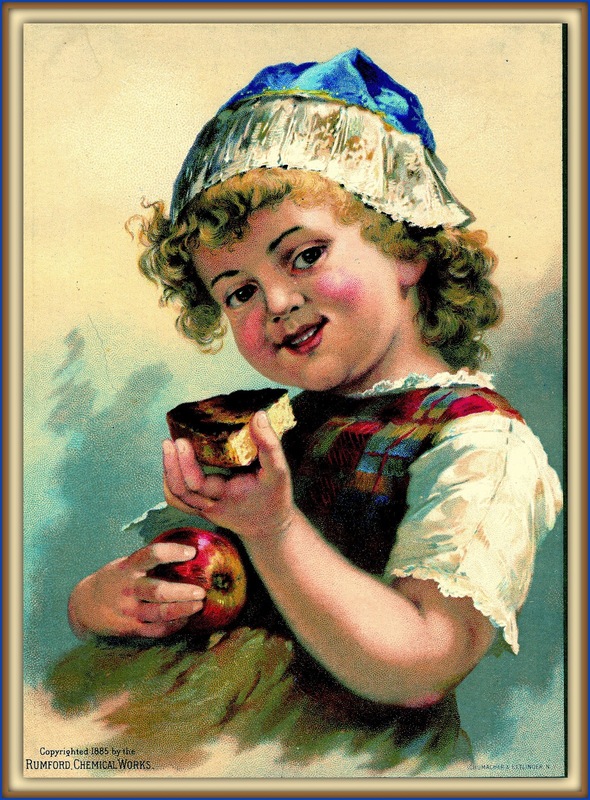 Trade card advertising that actually shows a customer sampling product. baking powder to the production of bread. No longer occupied by Rumford, the buildings serve a number of commercial and residential purposes. 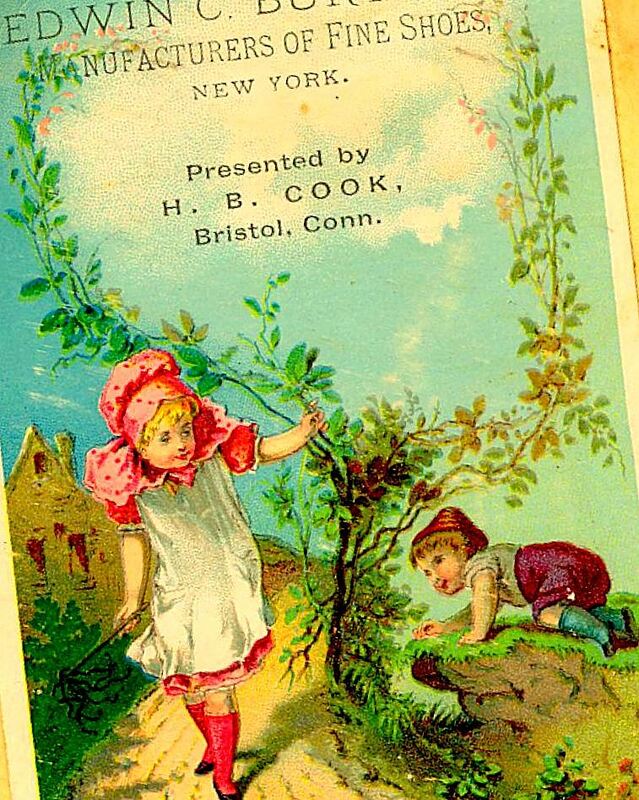 The American Historical Print Collector's Society has a good summary of information about The Major & Knapp Lithographers Company of New York, which published some of the trade cards found in the Earl J. Arnold Advertising Card Collection.